The funny thing is, I wasn’t even thinking meat rub when I came up with the Mint Salt idea. The goal was to make any food, especially salads and vegetables, taste authentically Lebanese, not to mention out-of-this-world fresh and delicious, with one pinch of the fingertips in a spice tin. Brainstorming what to call this new spice with my sissie, we had ideas like “Salad Salt,” which hardly seemed to stress how good a sea salt with a mint profile really is. And how unique. We pushed on: Ultimate Salt? Go-To Salt? Ultimate Go-To Salt? At nearly every #rosewaterbook event, I’ve gone through my Lebanese ingredient run-down. Mint is the star of that show. I say with a smile, and with no offense to our Italian cousins, that I do believe “Mint is the new basil!” Everyone seems to get it, and to want it. We love our mint fresh, and we grow it. Or some of us do. And we love our mint dried, and we dry it. Or some of us do. I have found there is always a need for more mint than I dry, and I just want my spice blend at the ready. When I gave some newly minted Mint Salt to Geralyn, she got wide-eyed tasting a tomato-cucumber salad with the spice: You mean I just sprinkle a hefty pinch of this over my salad, and voila, it’s Lebanese salad? No making my own dried nana? No measuring?? OMG. This from a girl who cooks Lebanese great like a Sitti, but has next to zero time to do it. The prepared Mint Salt takes out a whole huge process, since it is not so typical to find dried mint in the spice aisle at Meijer. Now, nowhere on the Mint Salt tin will you see anything about rubbing it on your meats, lamb in particular. What? I know. 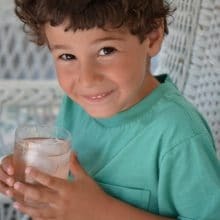 As happens in this fast-paced world of cookbook writing and product development, we learn things after the fact that would have been great to know sooner (i.e., my new talami-making method that shuts down the method in the book in a hearbeat, it’s so much easier. My apologies!! Find it right here!). 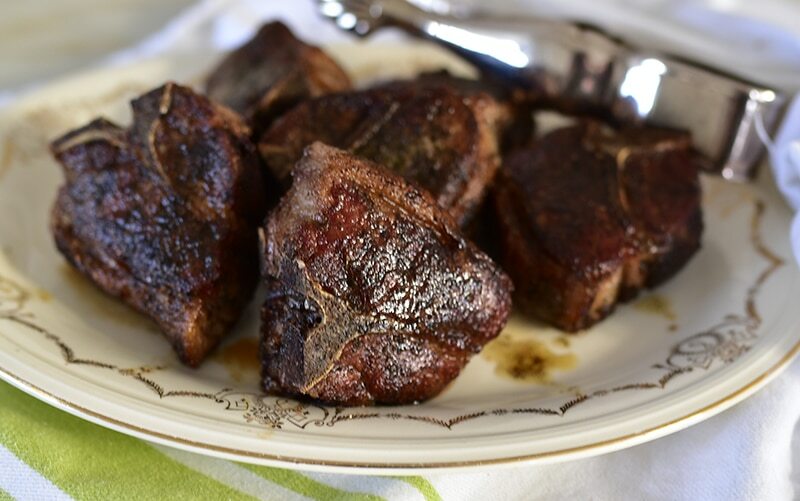 I made lamb chops not long ago and my tin of Mint Salt was there on the counter as I cooked. Eureka! My own eyes got wide as I rubbed the salt generously on all sides of the chops, then pan-seared them. As Geralyn would say, and as we all would most definitely say: O.M.G.!!! It’s crazy. 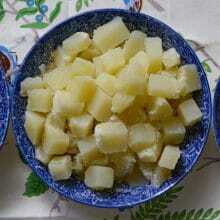 The chops can be broiled or grilled rather than pan-seared. For searing, it's helpful to use a splatter guard. 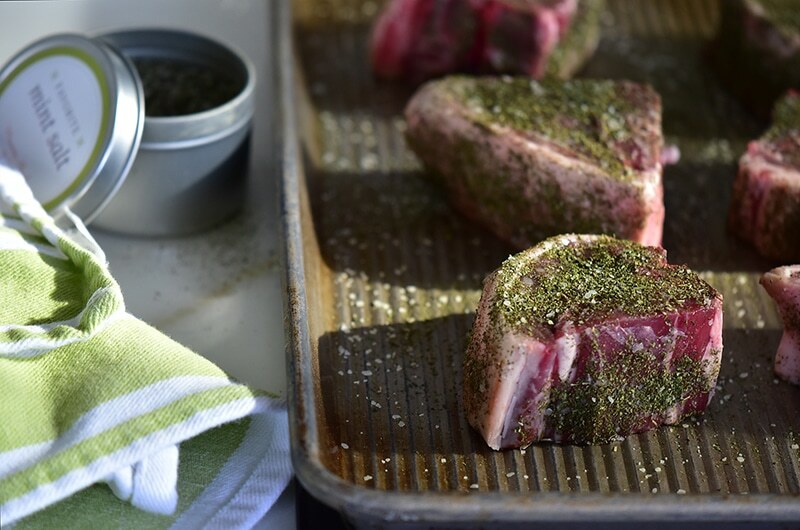 Rub the lamb chops liberally with mint salt on all sides. 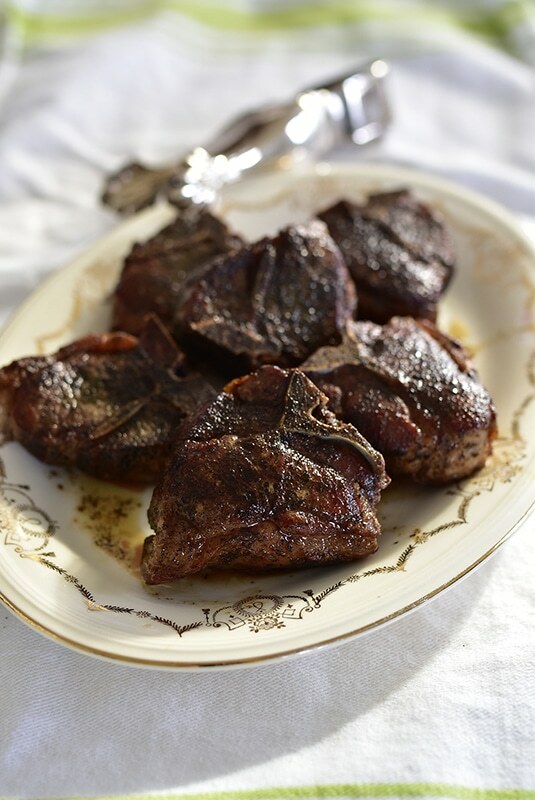 Rest for up to an hour, or refrigerate over night, then bring the chops to room temperature. 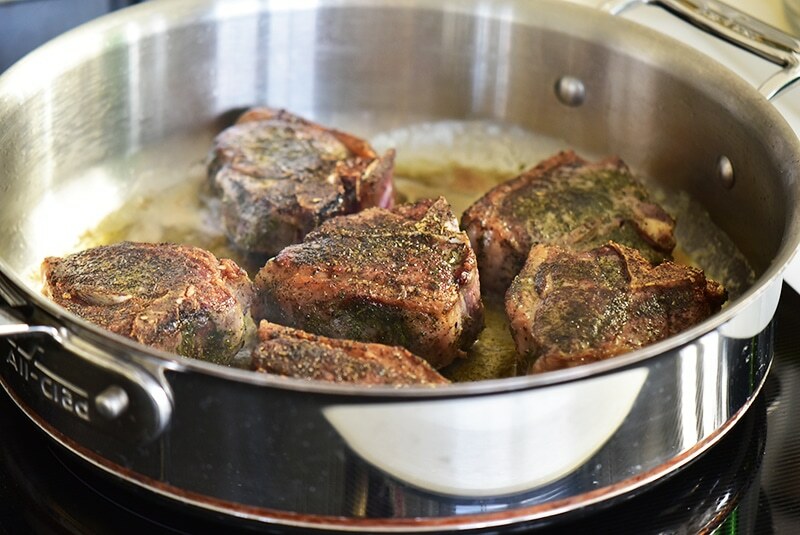 In a heavy saute pan, heat the olive oil and butter over medium high heat until the butter is melted and hot, but not smoking. Swirl the pan to combine the fats. 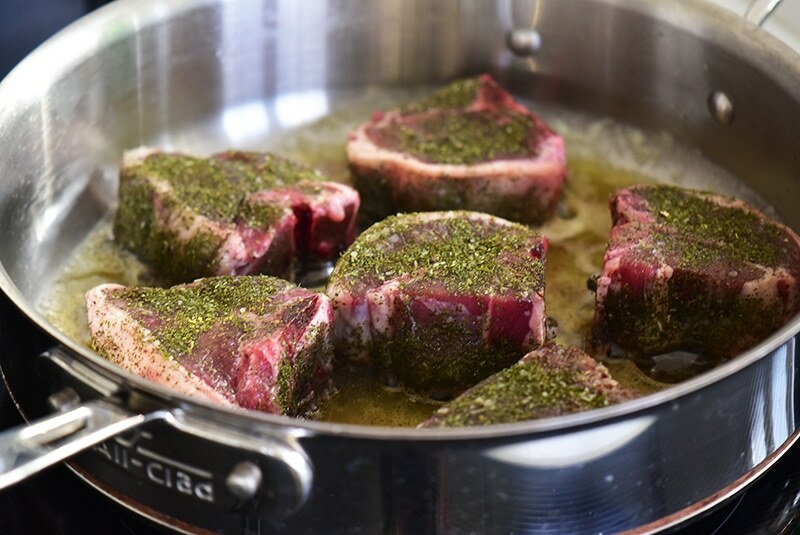 Place the lamb chops in the hot pan, listening for the big sizzle. Adjust the heat down a touch if needed. If there’s no big sizzle, remove the chops and heat the pan until it’s hot but not smoking. Cook the chops until they are deep golden brown, about 5 minutes. Flip and continue to cook to desired doneness. For medium rare, cook for about 15-20 minutes. Be sure to turn the chops to sear the fatty sides so those are golden and the fat is somewhat rendered. To finish, drizzle with a touch of Extra-Virgin Olive Oil infused with mint, and a dusting of more mint salt. 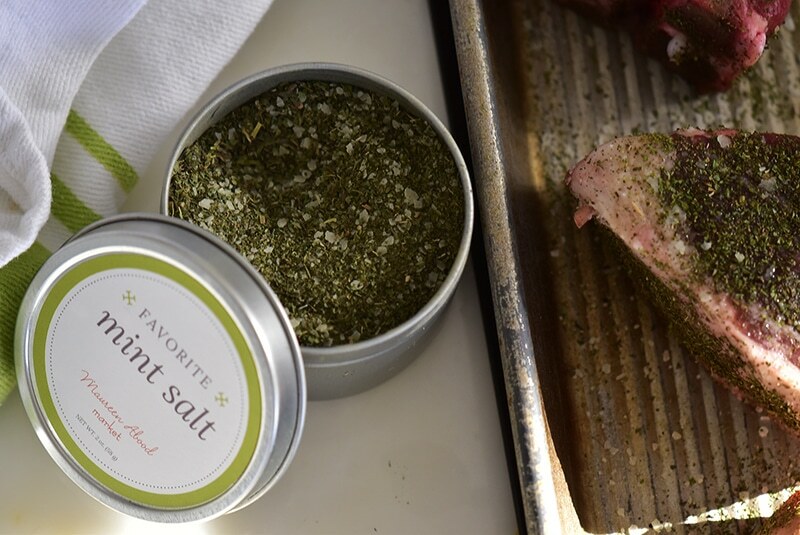 14 Responses to "Seared Lamb Chops with Mint Salt Dry Rub"
Mint Salt! What a great idea! 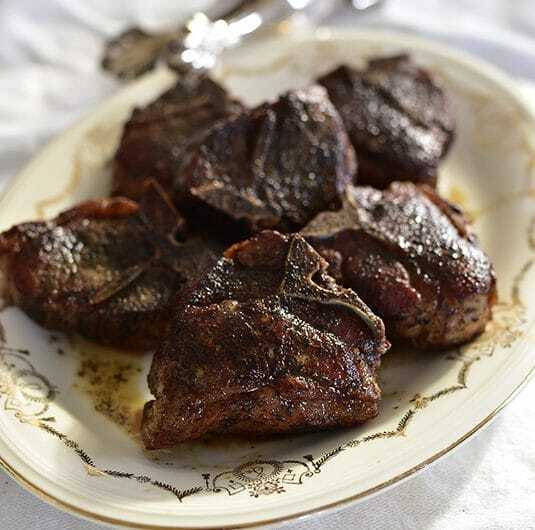 And those lamb chops look amazing! Bravo Cousin, Bravo! Perfect timing, i was just thinking about heading to the supermarket for some lamb — love the mint salt! OMG is EXACTLY what I said when I tasted how delicious this was! Can’t wait to make the lamb! You are the best! 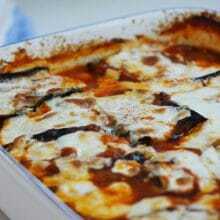 Love lamb and this recipe looks so easy. I’m one of those who grow and dry my own mint. Thank you for a great website! What’s the best way to dry your own mint? Hello Mignon–you’ll find the method in my cookbook and here, on this blog! Hi Maureen , This so reminds me of Tayta drying her mint and sorry not sorry mint kills basil any day lol. This sounds wonderful. 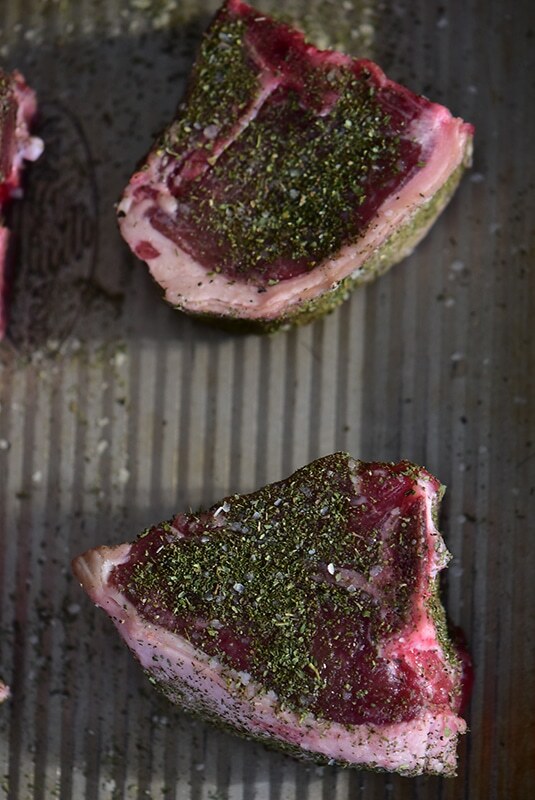 Never thought about seasoning the lamb chops with mint but usually only used salt and pepper. Would you do anything different if you wanted to cook these on the outside grill? Thanks Rose! The mint salt rub is excellent for the grill too. You can dab the chops with a touch of olive oil before you grill, taking care to preserve the rub. 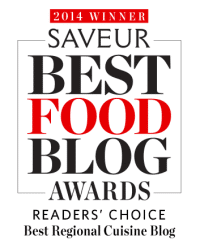 Great article and recipe, the mint salt idea is awesome! OMG! 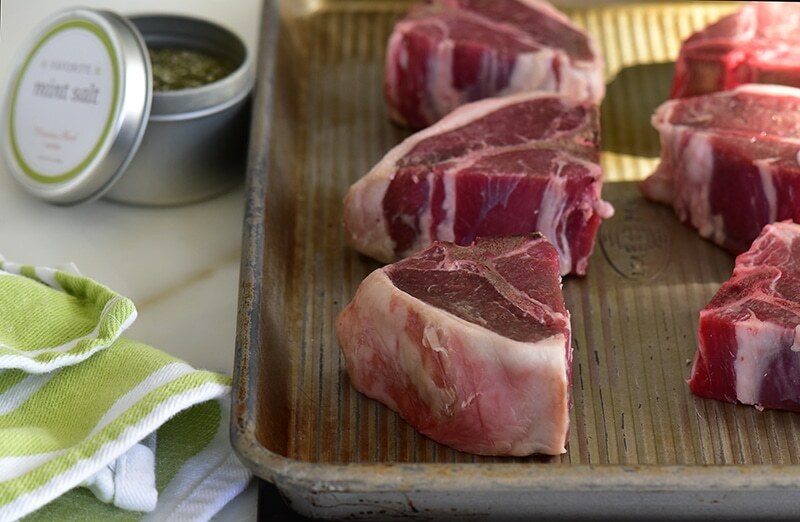 I have beautiful lamb chops in my refrigerator and cannot wait to cook these!! I will DEFINITELY report back. I have always loved mint jelly as an accompanying accoutrement….but, never thought about the mint salt before and after cooking. BRILLIANT! Pat ….waiting to get North to Boyne………..